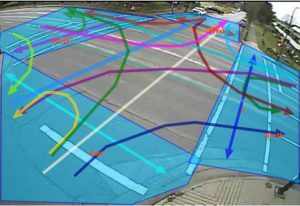 Utilising our high mast video cameras, we can capture all movements at intersections, midblock and roundabouts. Generally, movements are recorded in 15 minute intervals and classifications can be as little as all light vehicles and heavy vehicles or into Austroads classes. Classes can also include pedestrians, bicycles using the roadway and bicycles using the footpath. Our video cameras can capture data continuously for 24 hour periods or be programmed for short recording during peak traffic times. 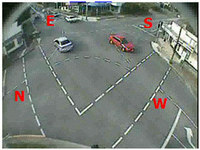 The cameras can be used to capture intersection queueing and delay also. Where video capture is not possible, TDC has a large pool of casual staff to perform manual data collection.